Opening day of the 2016 Baseball season is upon us yet again which among other things, presents the opportunity to highlight the area’s curious place as part of America’s pastime. Like many towns of the day, organized baseball first started to be played in the area sometime during the 1860’s. The sport’s growing popularity led to the organization of semi-pro clubs in rural and urban communities across the Eastern and Midwest parts of the country. Crawford County followed the trend with the formation of the Meadville Mutuals in 1871. Other area teams would follow in the decades to come–the “Meadvilles” of the 1880’s who eventually entered the Oil, and NYPANO Leagues of the 1890’s followed by competition in the Erie Railroad of the 1900’s. Allegheny College fielded its first team in 1881, competing against the Mutuals in addition to the Keystones, Meadville Stars, and Meadville Grays. Moving into the new century, teams were built from the employees local companies, such as the Spirella-Pullmans who dominated regional play throughout the tri-state area from 1909 to 1913, and the Meadville Machinery Company Nine who were the main draw of the 1920’s. The area was home or played home to several standouts who would go on to careers with early professional teams. Billie “Bones” Ely of the Meadvilles would he would be an all-star pitcher for the Pittsburgh Pirates from 1892 to 1898. Jack Dunn pitched for Brooklyn of the National League in the 1889 and 1890 championship games. Sal Campfield, who grew up east of Meadville, pitched for New York in 1896, while J.F. Staples played catcher for the St. Louis Browns in 1885. 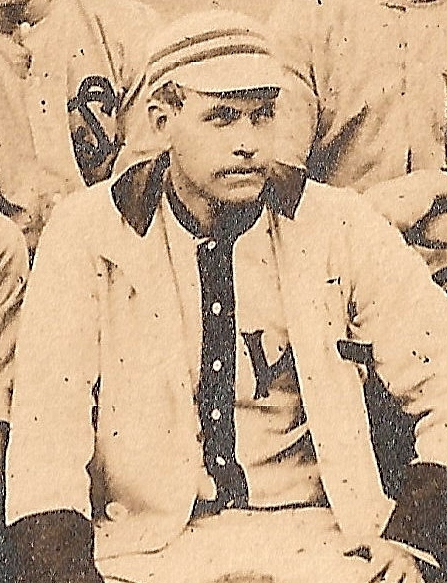 Of these local pros, George “Nig” Cuppy had the most remarkable career playing for Cleveland from 1892 to 1896, then four years with St. Louis before finishing with the Boston Nationals and Boston Americans. A slew of others with local ties would follow. In the early 1900’s and 1910’s, Bob and Wally Schang who both played for the Spirella-Pullmans would later be on the rosters of the New York Giants and New York Yankees respectively. William Foreman pitched for the Washington Senators while Ed Matteson of Guys Mills hurled for Philadelphia and also Washington. A decade later, Clint Brown of Black Ash would have a long career spanning time with the Chicago White Sox and later the Cleveland Indians. Bob Garbark would also play with Cleveland as well as the Chicago Cubs, Philadelphia Athletics and Boston Red Sox before later coaching Allegheny’s squad for 32 years. Of all these great area teams, it’s the curious story of the Meadville Mutuals that garners the most questions. The Mutuals formed in 1871 from “young men of good family” and within four years would they would rise to fame among the “town ball” teams of western Pennsylvania. The final tallies in these hardball contests were wildly erratic, and the Mutuals box scores were no exception. While low scoring games such as a 5-4 loss to the Senecas of Oil City or a 6-3 win over the Unions of Mercer were not uncommon, so too were totals closer to modern football (38-18 over Jamestown, N.Y.) and even basketball (65-22 victory against Greenville). 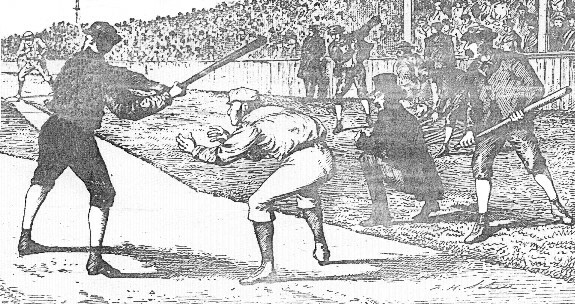 It was this combination of defensive nail-bitters and offensive explosions that hallmarked the Mutuals’ 1874 season, with each contest being chronicled by the Tribune-Republican in exciting accounts that often filled two full columns. By season’s end, both fans and players were gripped by soaring optimism over the year to come. Such high hopes would not be dashed as 1875 would become a storied year for the Mutuals. Given the successes of the previous season, and the In July the team hit the road for games across Pennsylvania to Philadelphia, then New York City, followed by games in Syracuse before returning home. In their excitement, the team adopted a new professional uniform in the same vein as the New York Mutuals. The uniforms were white with light blue trim. Shirts were close fitting with “Mutuals” affixed to their breasts in black letters. The pants were looser than most of the day, and held up with a blue, stripped belt while their heads sported matching round, wide-brimmed caps. Members of the team changed out here and there but the core remained the same from that of their early days. C.W. Lane was the team’s pitcher, and team captain, John O. McClintock the catcher. First base was held by Guy Fountain; third base belonged to R.E. McKelvey, and W.H. Rose had second base and sometime shortstop. The outfield was comprised of W.R. McCoy (right), Wilber McClintock (center), and W. Branyan (left). John Sergeant had once retired from being the team as a second baseman, but with news of the trip, rejoined the Mututals who had also added a Mr. Hapgood, a former member of the College Nine to play short stop. Along with their managers, Mr. Whitney and B. Blum, the Mutuals hit the dusty roads of Pennsylvania, New Jersey, and New York to play ball. At face value, the Mutuals seem to have mixed results during the trip, losing 11-6 to the Reading Actives, 10-4 to the Shibe Club (Philadelphia) and 5-3 to eastern Pennsylvania’s champs, the Doerr’s of Philadelphia before beating New Jersey’s top team, the Unions of Newark. The team returned to Meadville in late July. A short clipping from the July 21st edition of The Forrest Republican noted that the team “had a good time, but are covered in bruises and short on glory, having been beaten in the majority of games played.”Regardless of the outcome, the Mutuals, however, made an impression with fans and newspaper reporters. 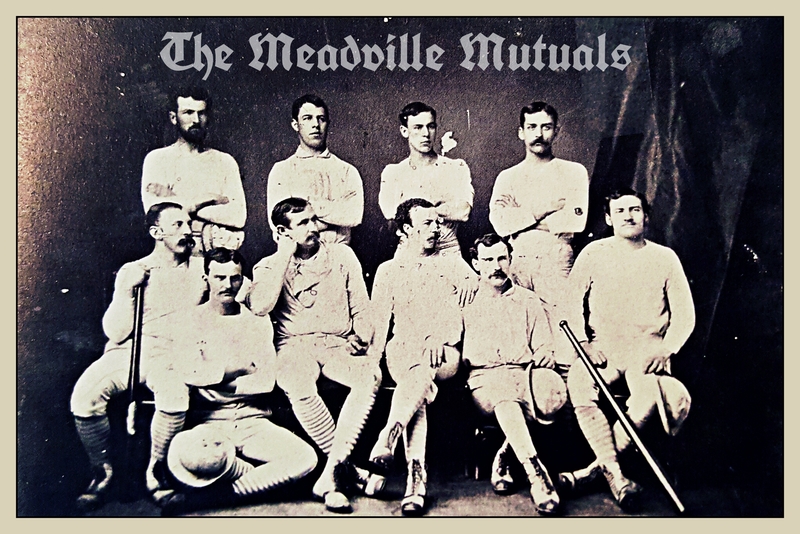 “It is pleasant for us to be able to chronicle the fact that Meadville has sent us a club who, in every possible manner, both on the field and in the city, proved themselves to be gentlemen in every sense of the word. It would add a new vigor and interest to our national game were there more clubs of this character in the country, and it would prove conclusively to our citizens that there are gentlemanly clubs in our state who can play a gentlemanly game.” wrote the Harrisburg Telegraph following one contest during the team’s trip. The tough competition against such top notch teams in the east through mid summer would prove beneficial to the Mutuals as they returned home and headed into the fall. Through the month of August, the team defeated Oil City, Mercer, the New Castle Nashannicks, and Renova, earning them a playoff spot against the Braddocks of Pittsburgh. In a three-game series, the Mutuals took an early lead, inflicting the first playoff loss on the Braddocks, 10-7. The Braddocks stormed back in game two, leading the Mutuals 7 to 6 in the bottom of the last inning. With cools heads, the Mutuals stepped up to bat and quickly tied the score. However, with the inning still in progress and only one out, the umpire declared it too dark to continue play. The Mutuals made a formal protest to the Judiciary Committee of the Amateur Association claiming there was plenty of daylight still left. The Committee’s ruling is unknown as is whether the game was continued later or a new one play. What is known, though, is that the Mutuals eventually defeated the Braddocks 8-7, earning their spot in the championship match against the Xanthas of Pittsburgh. 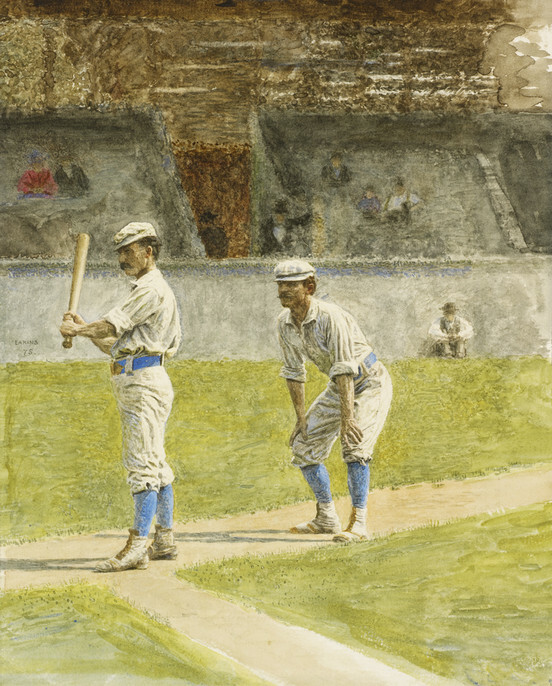 In the title series, the Mutuals again demonstrated their grit once again, losing their first game before defeating the Xanthas 9-8 in Greenville and then 12-7 in Pittsburgh to become the baseball champions of western Pennsylvania. The success of the Mutuals would be short-lived however. All hopes for a repeat or even higher honors were dashed before the next year. In fact, the Mutuals could not even field a team in 1876. The renown of the club had gained serious attention, and four of the team’s top players were brought to Pittsburgh to form a new baseball team known as the Pittsburgh Alleghenies which was considered one of the first minor league teams in the country. (The Alleghenies should not to be confused with the Pittsburgh Alleghenys of 1882 eventually to become the Pittsburgh Pirates). The team would eventually reform their ranks and compete in the leagues of the day, but they would never rise to the same level of prominence. 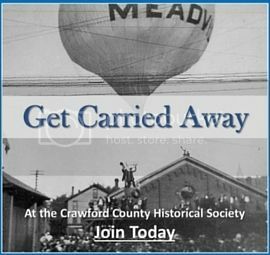 In the years to come, Crawford County would continue to produce competitive baseball teams and bare witness to talented players, a tradition that started with the original champions, the 1875 Mutuals of Meadville.See a list of all the early teams and players with ties to Crawford County along with their stories and bios on our Pinterest Page HERE or on our Facebook Page.